In May 2017, sales of the Bajaj Dominar fell to 1,500 units, the high-end bike’s worst ever numbers since launch. The bike, which was launched in December 2016, did a best of 3,216 units in March 2017 and ever since sales have been on a down slide. The bike averaged about 3,000 units in the months of January and February, managing only 2,000 units in April. The sales slump has gotten people talking, with many wondering if the Dominar is a huge flop. Not really! We explain why. In the 350+ cc segment, the Dominar was the best seller in India in January, February and March 2017, with monthly numbers averaging a little over 3,000 units. In April and May, however, sales have slipped to 2,000 and 1,500 units respectively, prompting this question. As a 400 cc motorcycle priced at nearly 1.5 lakh rupees, the Dominar continues to do decent numbers. To put the Dominar’s sales numbers into perspective, Royal Enfield’s 500 cc range — comprising the Bullet, Classic and Thunderbird — did about 5,000 units in the first three months of the year with March sales coming to a standstill due to the BS4 transition. So, without the BS4 transition, Royal Enfield’s 500 cc bikes should have done about 7,500 units in the first 3 months of 2017. The KTM Duke triplets (200, 250 and 390) did about 9,000 units in the same period. Why then is there so much attention on the Dominar’s sales numbers? Bajaj Auto set very lofty sales and exports estimates for the bike. In fact, the bike maker aims to sell and export a minimum of 10,000 units/month by Diwali 2017. And Rajiv Bajaj, taking to HinduBusinessLine said this before the bike’s launch. It is my conviction that the new bike (Dominar, known as the Kratos then) planned has the capability of posting five-digit volumes each month. Domestic sales of 1,500 units in May 2017, and total exports of 1,000 units (six months since launch) don’t inspire much confidence. Is Bajaj still bullish about the Dominar doing better? Mr. Ravikumar, President-Business Development, Bajaj Auto speaking to MoneyControl talked about the current sales slump. From 3,000 units domestic, we are talking about 2,000 in this month. We are now concentrating mainly on the metros and the main cities and then after establishing it there, we will take it forward to other markets. KTM took almost a couple of years to come to 2,000 per month levels and Dominar as a 400cc has a very good traction. That is why in the 350-500cc bracket, it is already a leader and we think that it will have traction. It will take some more time to seep into the smaller cities and the volumes to build up but we will be concentrating mainly on the big cities now. 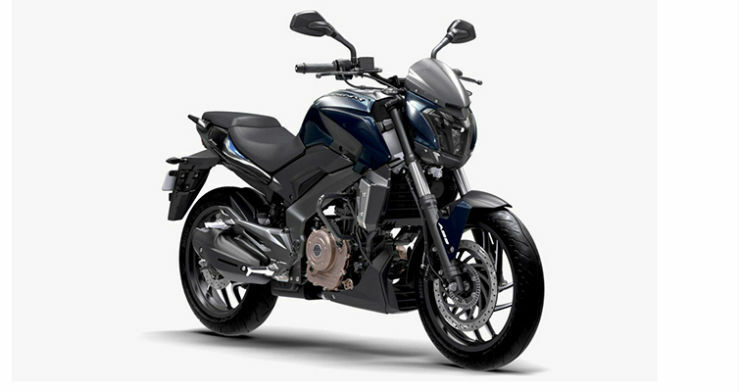 Clearly, Bajaj Auto plans to boost Dominar sales by driving into smaller towns once the bike has reached most of the bigger cities of the country. Also, a new Scrambler-styled version of the Dominar is likely to be launched in the coming months. Expanding Dominar sales into more export markets is another way in which Bajaj could add to the numbers. What do bikers have to say about the Dominar’s sales numbers? One feels that Bajaj needs to improve refinement levels, and that the Dominar is too vibey to be a comfortable tourer. Konqueror: Bajaj should concentrate on refinement. Vibration on sports tourer bikes like Dominar will not work in the long term and dip in sales proves that. Another feels that there isn’t much awareness about the Dominar, and that Bajaj should make a better TVC so that the bike reaches more people. He also wants Bajaj to improve after sales service. Maheshwaran AJ: Dominar doesn’t sell because of lack of awareness and the reputation of Bajaj SVC. Bajaj needs to make a better TVC for the Dominar. And Bajaj needs to focus on getting their mechanics trained more and their showrooms and service centers must be customer-centric. And another feels that 10,000 bikes/month is too optimistic, and that Bajaj should be happy with sales of 3,000-4,000 units/month. Balamurugan Jeyachandran: All agreed but add this to your equation. Targeting higher numbers is reasonable but 10,000 units sale per month is insane numbers for a bike of this price and size. I would call this an insane and pointless strategy. 3,000-4,000 per month sales is good considering the segment, then Bajaj can introduce other models based on this to increase sales.